There are several tracks on this exquisite album which remind me of the subtle, calm world of a Vermeer painting. Much of this album is understated, from the ghostly cathedral on the cover, the limited pallet of colours on the sleeve, the carefully chosen photograph of the artists wearing toning shades of grey. 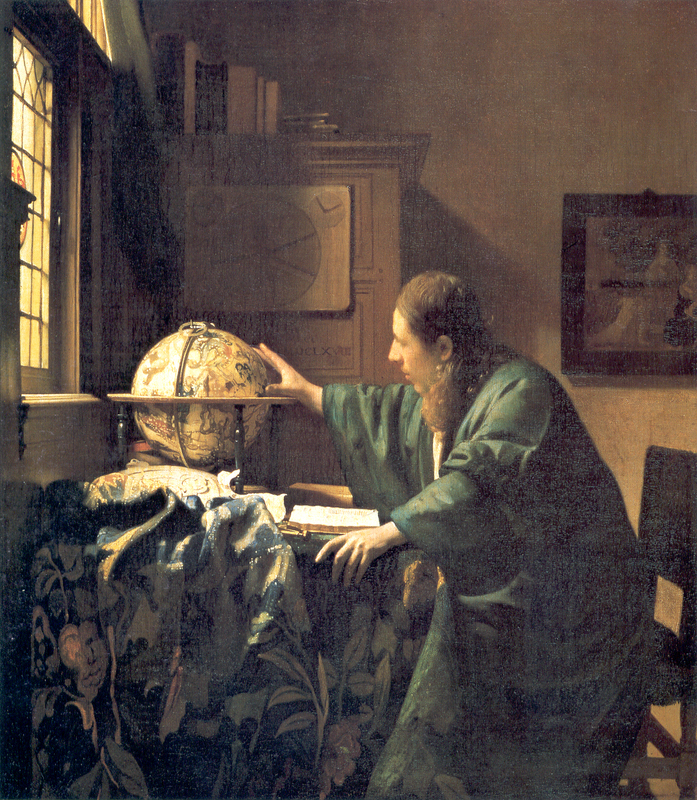 Much of the joy of a Vermeer is standing as close to it as the gallery attendants will let you stand, and entering its gentle world of reflection, quiet study, order and shared secrets and then drifting away from it, the colours and atmosphere engrained in your memory to be enjoyed long afterwards. 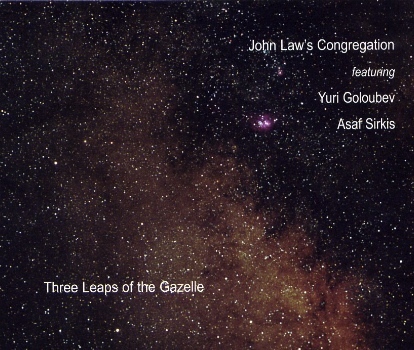 And so it is with John Law’s Congregation the art of sound volume 4. Unlike Vermeer whose paintings are few, John has a large discography of piano trio works and solo albums. Perhaps the title ” the art of sound ” is a tribute to Brad Mehldau whose Art of the Trio albums marked his development over several years? But John is more than an English Brad Mehldau, he has a very distinctive voice and you can hear it most clearly in volume 4 of this series. He has created an exceptional trio in Sam Burgess on bass and Asaf Sirkis in drums. When you first listen to this album you will notice the extrovert tracks, most notably the title track Congregation. I defy you not to want to leap around the room during this one. This is not a trio of three separate musicians, no, they work as one. Even when one player has the limelight you are aware of the others, right there, just a millisecond behind, they pass the tunes around as skillfully as footballers, never let it falter for a moment. Trap Clap is a witty piece with subtle effects (clapping, fuzzy piano). All the tracks stand alone. Three Part Invention is a homage to Bach and a perfect one at that.. But for me the real joy of this album are the works that remind me of Vermeer – The Ghost in the Oak and Watching, Waiting (for Tom Cawley). These are works of the heart as well as the brain. John is not just a clever pianist, he creates works which move you. They repay close scrutiny with your mind but also with your heart. The Ghost in the Oak is heartbreakingly beautiful. The bass sounds like a cello, the percussion ticks, the piano mesmerises you like the ebb and flow of the sea. You are in a quiet room and you never want to leave. Watching, Waiting ( for Tom Cawley) is a gem. There are many layers of delicate sound, from the ripple of the piano, the lovely melody on bass to the magical, fairytale tinkle of glockenspiel. Then these delicate strata come crashing up against piano and percussion then just as quickly subside – it’s a masterpiece, giving you more to listen to each time.